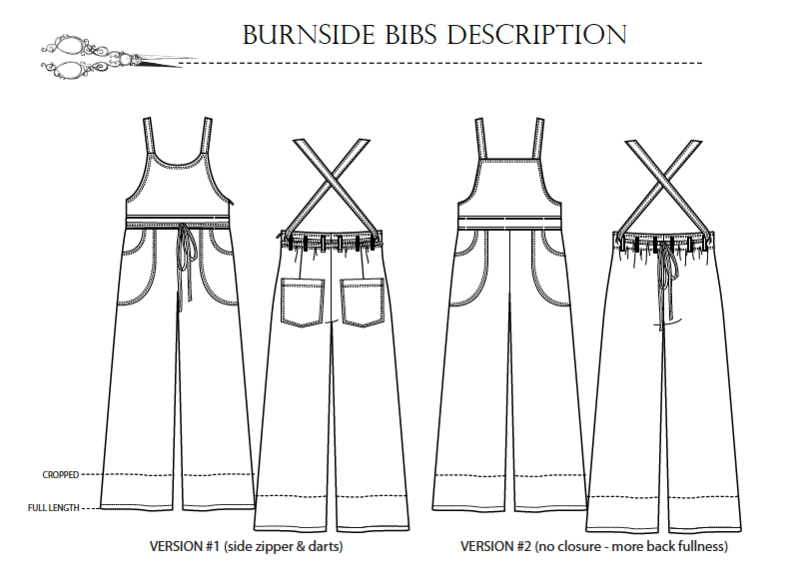 I had quite a week, and it cheered me immensely to sew up the Sew House Seven Burnside Bibs. 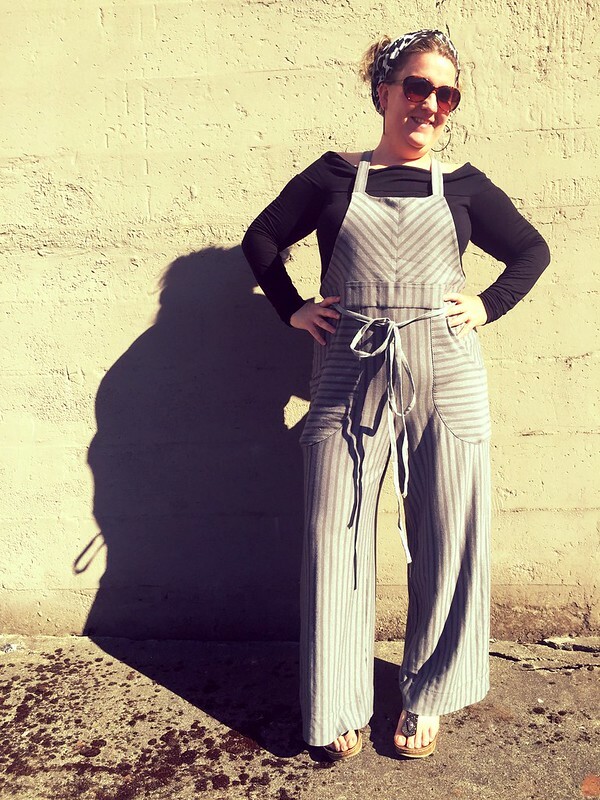 I think of these as “Rosie the Riveter”-style overalls, and as far as I know mine are the first pair in existence to be made out of a knit fabric. 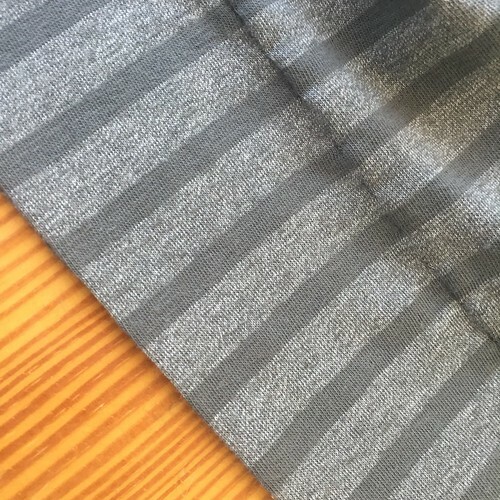 This involves the extremely judicious use of interfacings (I used two different types), and in this case – a lot of stripe matching and fussy-cutting. The pattern features two versions. 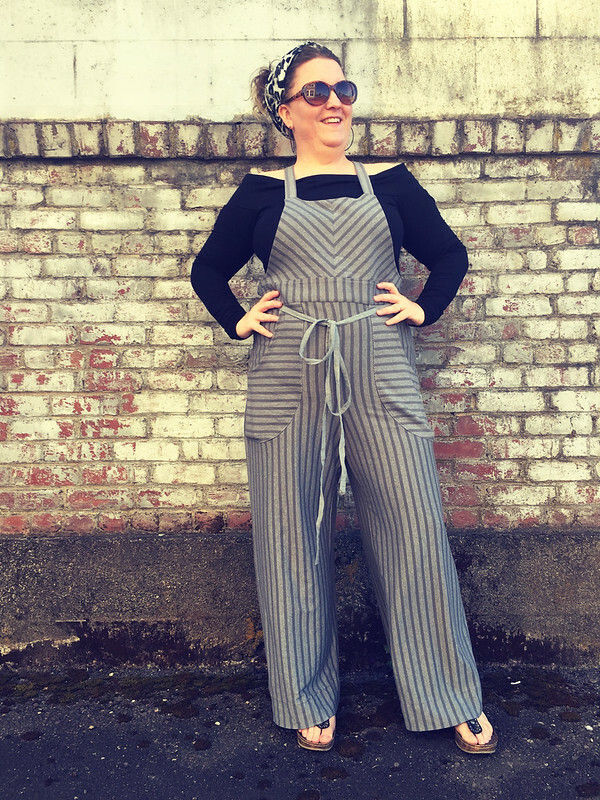 Version one – the version I made – features a slightly curved front bib, and a slimmer-fit trouser with deep back darts and an invisible zipper at the side. Version two features the standard straight bib, and full back legs. 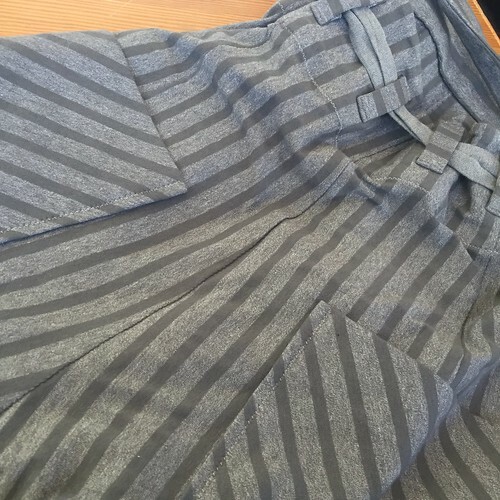 Both versions feature an option for a cropped or full-length leg, and long ties that can be worn a variety of ways, to pass through belt carriers in the back. You can see several versions on the site’s pattern page. 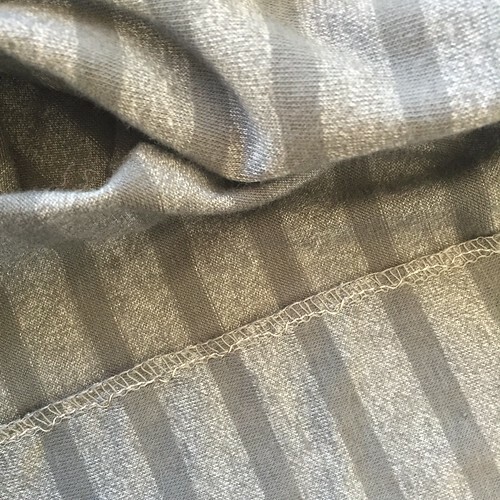 I may or may not have gone mad with stripe-matching power. If there are stripes, I have to make them match perfectly. I also used the lengthwise, crosswise, and bias grain in ways that were not indicated by this pattern, nor are typical for knit garments. At the pant leg: a deep blind hem. This gives the pantleg a wonderful weight. I find sewing a blind hem very satisfying! 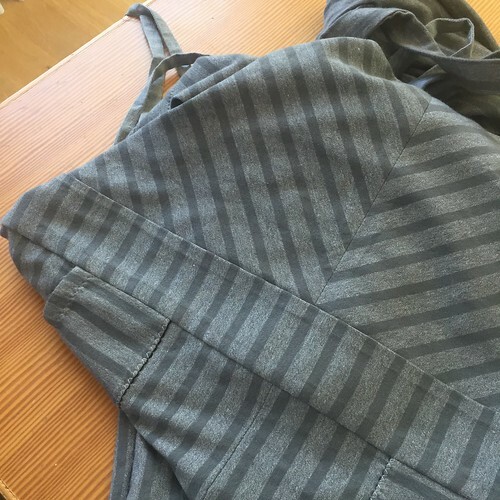 Shown below: the center-back seam and the back pockets (cut on bias, and fuse-lined). The pockets on the pattern are too low for my body, so next make I will shift them up. 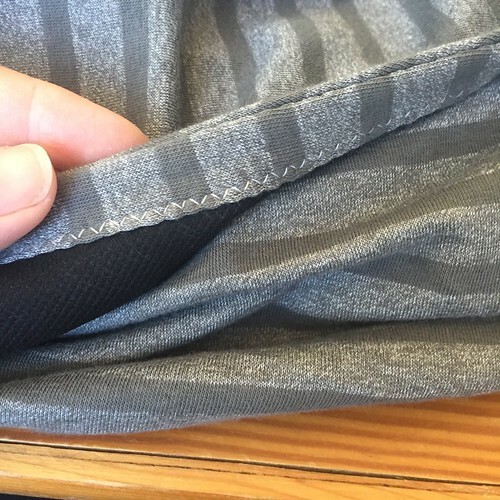 The side invisible zipper, perfect and bump-free as you see here. Version two of the pattern has a looser pants back, and can be pulled over the hips. The back will have a fuller gather at the waist. I pieced the front bodice on the bias, and used the crosswise grain for not only the pant leg, but also the front waistband and the straps. 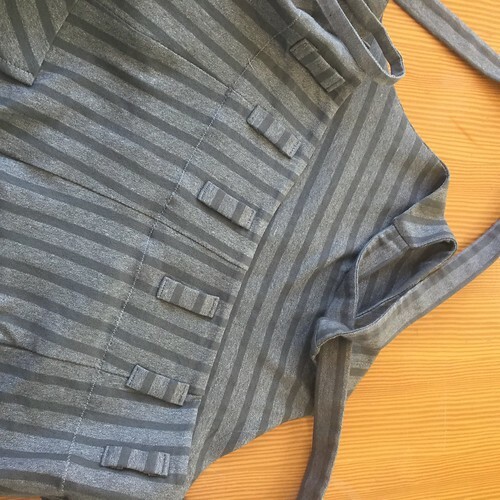 I think I only used the knit grain “correctly” twice – the bib facing/lining, and the front pockets. Belt carriers, with the chambray tie passing through. These long ties were barely able to be pulled through using the tube method, and I used pretty lightweight fabrics. 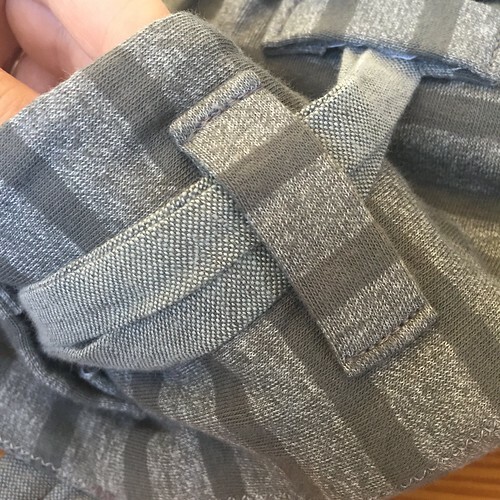 Save yourself some trouble and either cut a wider tie, sew a narrow seam allowance, or do a test run of loop turning. I like a lot about Sew House Seven, including the geometric but feminine shapes within the patterns, and the simple fabrics often used to showcase the garment lines. But I recommend them for their instructions, especially. There is a really great methodology to the patterns, and it is a bit different than other indie designers. 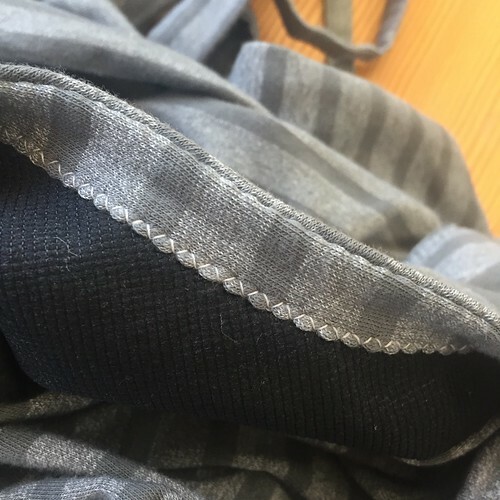 The methods are very persnickety and precise in a way that I absolutely love, and allow for a really gorgeous clean-finish on the inside of the garment. 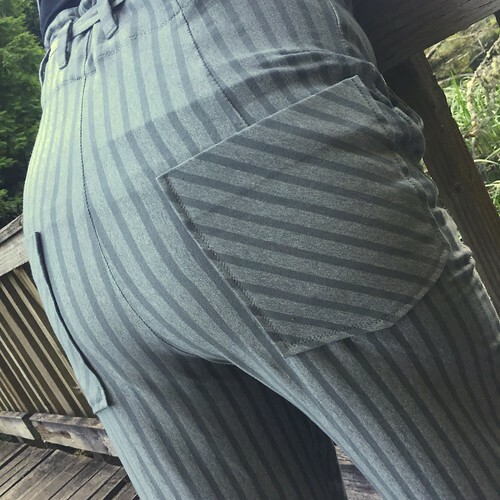 I think the patterns are miniature tailoring tutorials in and of themselves, and I recommend them to any committed beginner, or intermediate stitcher who wants to up their game. This pattern comes in bust/hip measurement 31″ / 34″, to bust/hip 47″ / 50″. I love them! Genius to do them in a knit! 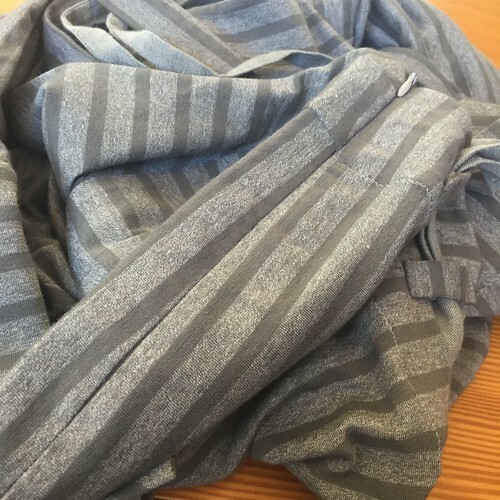 My linen version is incredibly comfy, so your knit version must be off the charts! Thank you Meg! Even I was surprised how comfortable they feel. It feels like wearing pajamas! Your Burnside’s are phenomenal! Found you through Sew House Seven’s FB page, and am so glad I did. Lovely job. These look amazing!!! You’ve just convinced me to get this pattern, like this is is totally ok for work. Love it. 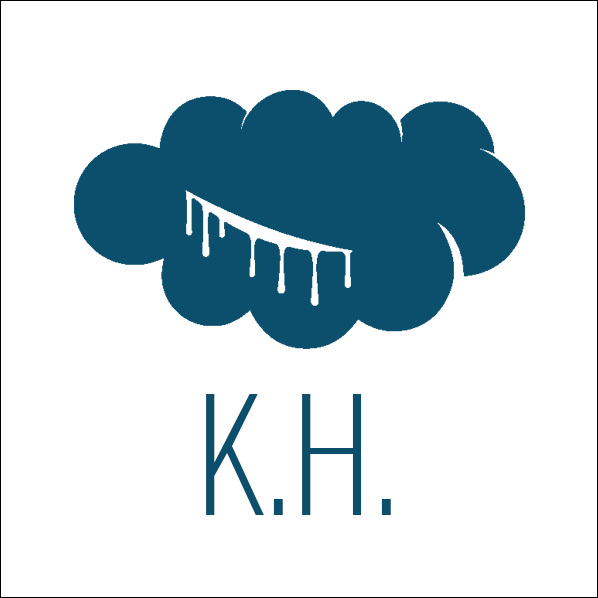 Thank you Kristina! Yes, this pattern can dress up or down! I hope you enjoy working with it. I am going to make myself a few more pair for winter!